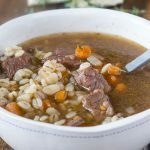 Beef and Noodles Soup – use the crock pot to make this super easy soup recipe. Tender beef, noodles, and a delicious broth make for a comforting soup. My family kind of loves anything with beef and noodles. 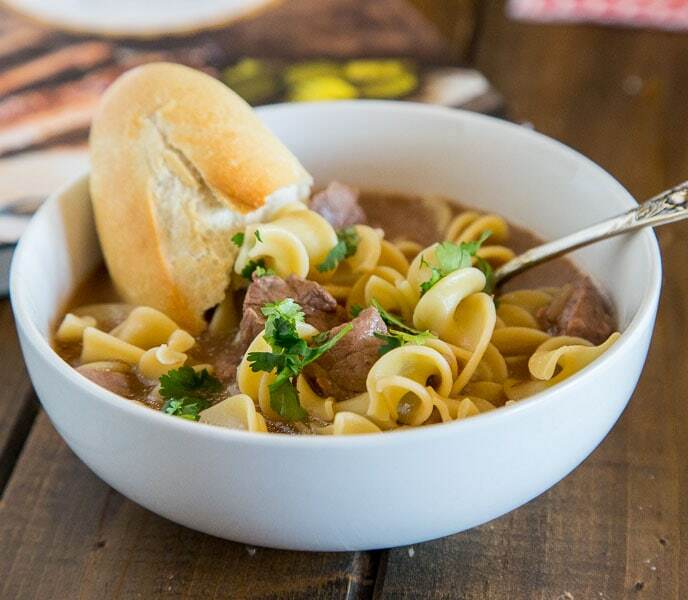 Garlic Beef and Noodle Bowls are one of our favorites, and you guys seem to like it too! So I am hoping that this comforting and easy soup is a hit too. 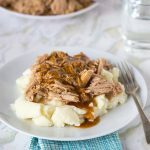 Everything comes together in the crock pot, with about 5 minutes worth of work. You can’t get much easier than that. Just open, dump, and cook. My kind of dinner on a busy day. 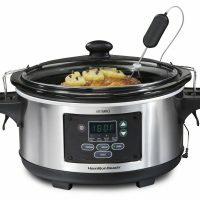 My friend Chrissy recently came out with the new book No-Prep Slow Cooker. It is a book with recipes made with few ingredients, without browning, sauteing or pre-baking. Chrissy writes at the blog The Taylor House. Her recipes are always approachable, and her book is no different. 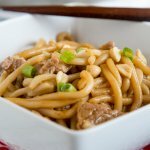 As soon as I saw the crock pot beef and noodles recipe I knew it was what I was going to make first. The broth of the soup is rich and delicious, and the beef is super tender. Great for a cold night. 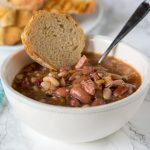 There are classics like pulled pork, tomato basil soup, and baked beans. 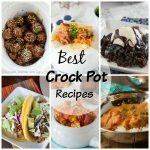 But then you will find a bunch of recipes you wouldn’t have through of making in your crock pot. 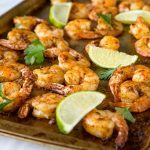 Pull apart bread, blueberry jam, and shrimp fajitas. I can’t wait to dive in and try more! I have actually never used stew meat in a recipe before. 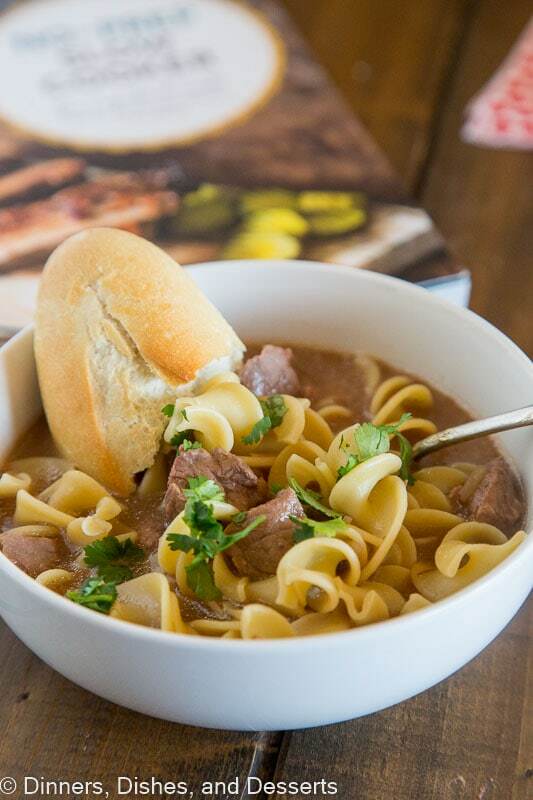 But it is perfect in this beef and noodles soup recipe. It gets super tender and works great in the soup. 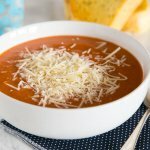 Crock pot soups are one of my favorite things. 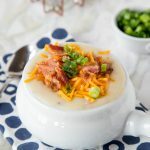 So great to have Crock Pot Potato soup waiting for you when you get home. Serve with some crusty bread and you have a delicious meal any night of the week. 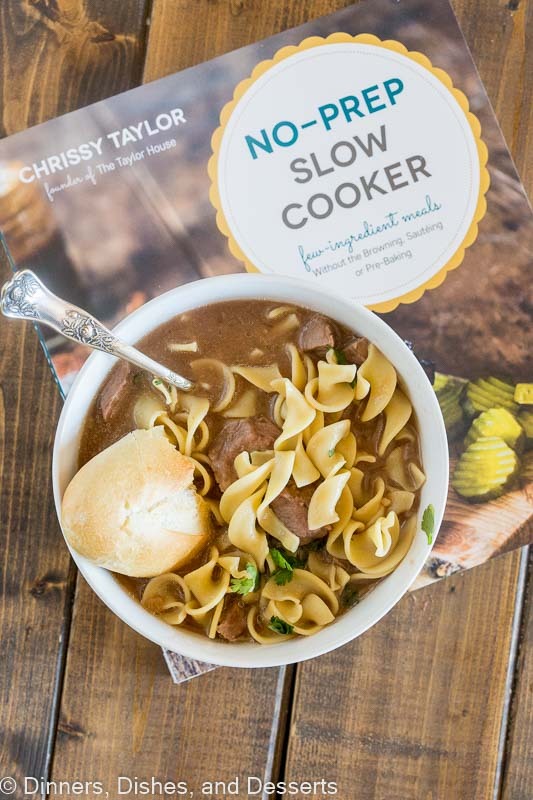 Looking to try more crock pot soup or great slow cooker recipes, get your copy of No-Prep Slow Cooker today! 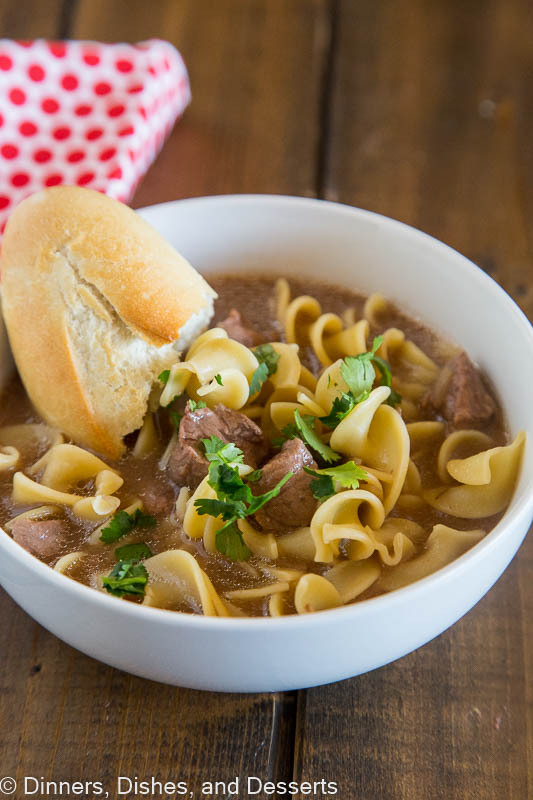 In a slow cooker whisk together onion soup mix, cream of mushroom soup, garlic, and beef broth until well blended. Add in stew meat. During the last 30 minutes of cooking, add the egg noodles and cook until tender. **Nutrition information is an estimate. It varies depending on the ingredients and brands of products used. Simple things are always the best ! Thank you ! Five minutes of prep time sure sounds good to me! 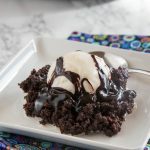 This sounds perfect for a busy weeknight! Oh man, that is pure amazing comfort food!! 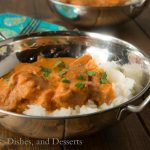 This is such a great go-to weeknight recipe! 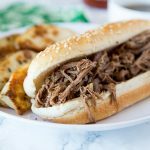 I’m always up for a slow cooker meal! 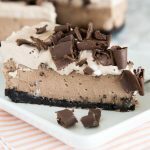 So super easy and delicious! Adding this to the menu next week. 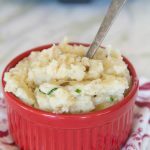 Looks like a great comfort food dinner option. I love how easy this is to make. 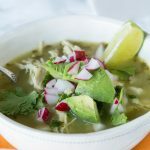 I needed a new soup to make! I love this one! 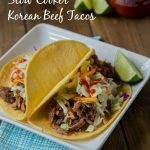 It looks so good for dinner any night of the week! Pre cut stew meat can be expensive wait till bottom round roast goes on sale then cut in chunks to use buy extra also cut up to use when making stew just freeze till needed.